Are you getting ready to interview at Chipotle? This article will help you do your best on interview day and feel confident about your performance when you leave. We’ll first talk about the general information you’ll want to know about Chipotle before heading to your interview. Then, we’re listing Chipotle interview questions and giving you answer suggestions for each of them. You’ll also find helpful tips for Chipotle applicants at the end of the article. 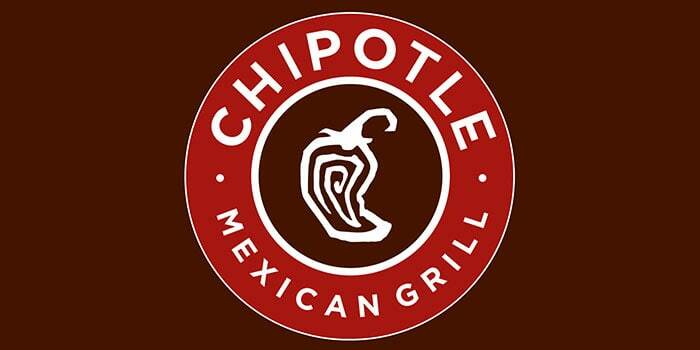 Chipotle is a fast-casual American-Mexican fusion restaurant that began in 1993. They now operate more than 2,00 locations and employ more than 65,000 people. Chipotle employees enjoy many opportunities to rise in the ranks. On top of that, their benefits package is notable for a fast-food restaurant. For example, their generous Chipotle education assistance program will be a great help to you if you plan to pursue a college degree while working your way up at Chipotle. The following are some of the most frequently asked Chipotle interview questions. Regardless of what position you’re applying for at Chipotle, we recommend that you practice each of these interview questions and prepare answers for all of them. The same Chipotle interview questions tend to get asked whether you’re applying for a cashier position or a management position, (though, you can expect a more thorough interview process for management applicants). Therefore, study up on all of the Chipotle interview questions that you have time to practice for. A3: “I had a coworker at my first job who seemed to be threatened each time a new employee joined our team. She would consistently verbally antagonize them and attempt to make them feel as though they weren’t doing their jobs correctly. When another new hire came along, she would change targets. She would never apologize to any of the people she targeted. I ended up asking her about what she was doing. My coworker ended up telling me that she was afraid she was going to lose her job to one of these new hires. A1: “I think it’s interesting that Chipotle is relatively new to the fast-food scene – they were established in 1993 but they are just as popular as restaurants that have been around for decades longer. Chipotle was also the first large, national restaurant chain to disclose information about GMOs on their menu. Showing up early will help tell the manager that you’re truly interested in working at Chipotle and that you take the interview seriously. On another note, Chipotle employee uniforms are mostly black. Therefore, it’s recommended that you wear black pants or slacks with a black or dark blue or grey button-down shirt. Chipotle doesn’t serve a lot of ingredients. You should know the Chipotle menu before going into your interview. It’s likely that one of the Chipotle interview questions you encounter will involve the menu. Memorizing the items on it will not take you longer than a few days of practice. Most positions at Chipotle are customer-facing. As a result, it’s important that you’re able to communicate to your interviewer that you understand how to give great customer service. If you’ve been employed before, think of a time you provided excellent customer service and try to remember as many details of the story as you can. This could be a time that you helped make an angry customer happy or a time a customer left a great review mentioning your name. Whatever your story is, rehearse it a few times out loud before your interview even if you feel like it’s still fresh in your mind. Our researched set of Walmart interview questions. The most likely Chick-Fil-A interview questions you might receive. We hope these Chipotle interview questions help you feel more ready for your interview. If you still feel unsure, try rehearsing your answers out loud several time each. This is one of the best ways to get ready for your interview. You can read more about working at Chipotle on their Glassdoor profile and their Chipotle career blog. If you’ve already interviewed at Chipotle, leave your best tip in the comments!